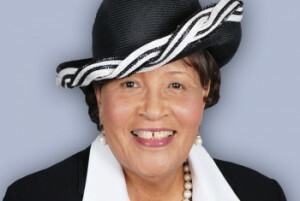 Rep. Alma Adams was elected to represent North Carolina’s 12th Congressional District in a special election in November, 2014. When she took office she became the 100th woman serving in Congress, the most to serve in in any Congress in the institution’s history. Before coming to Washington, Adams served 10 years in North Carolina’s state legislature where she chaired the state’s Black Caucus and spearheaded the landmark passage of the first minimum wage increase in nine years.She serves on the House Committees on Education and the Workforce, Agriculture, and Small Business, as well as the Joint Economic Committee.